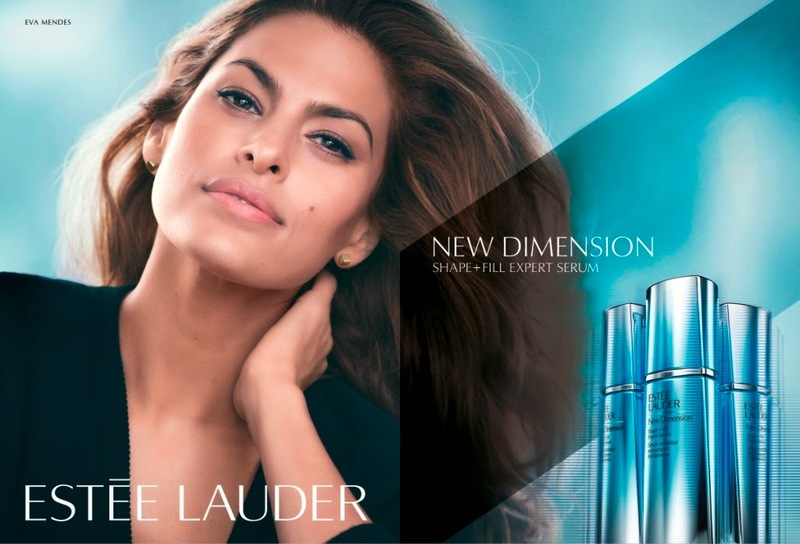 New York, April 24, 2015 – The Estée Lauder brand today announced that it has signed Hollywood actress Eva Mendes to represent the brand’s New Dimension transformative skincare collection. Mendes will appear in digital, TV and print advertising campaigns debuting in Fall 2015. The skincare collection features New Dimension Shape + Fill Expert Serum and New Dimension Expert Liquid Tape. It empowers women to transform their appearance, helping define the look of contours so every angle becomes a woman's best angle. My favorite Eva Mendes movies would have to be Hitch and 2 Fast 2 Furious, She is a model, spokesperson to many big brands and is also a designer, creating a line of bed linens and dinnerware sold at Macy's. On top of everything, she is currently dating the dreamy Canadian, Ryan Gosling and is a new mommy - CONGRATS to the beautiful Eva Mendes!